eBook della cucina di Sezze, scaricalo gratis! Free download... now ... in English! Because a recipe is not just a matter of ingredients and procedures that allow you to enjoy new tastes. It is not just a way to transform raw materials into outstanding delicacies...A recipe is also a set of emotions, sometimes linked to memories and people from your past or your present. 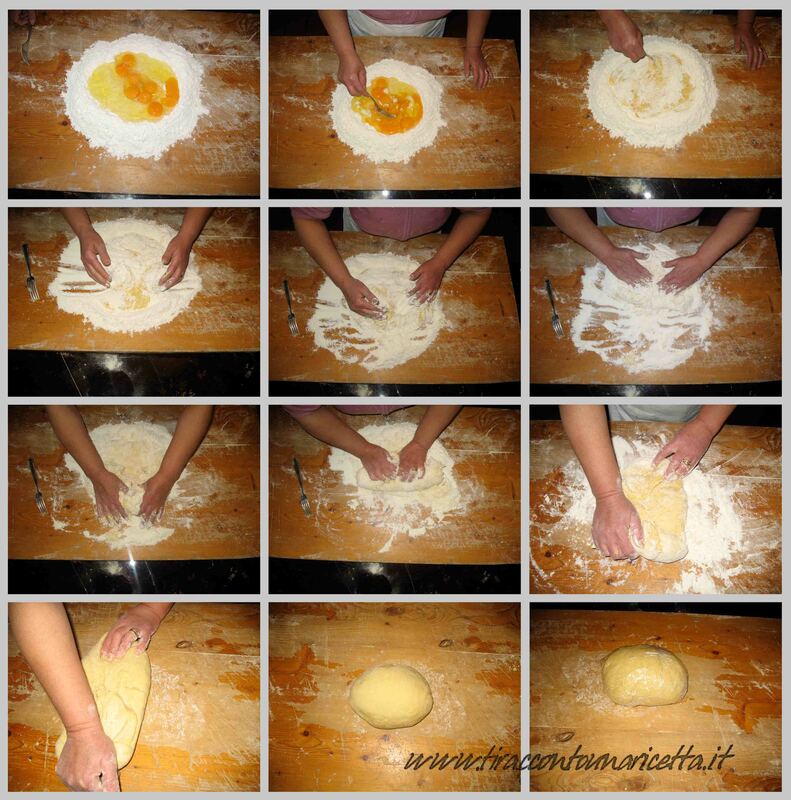 Each recipe is an emotion that explodes mighty each time we prepare it and taste it. Different each time, and each time more intense. 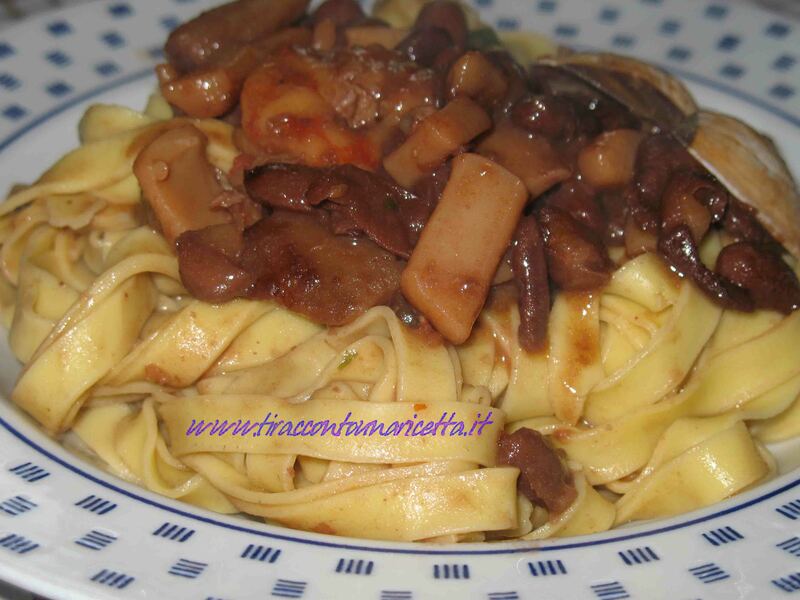 Stiamo preparando il nuovo sito di Ti Racconto Una Ricetta! The muffins are very easy to do. They are sweet or saltedsimple or flavored. 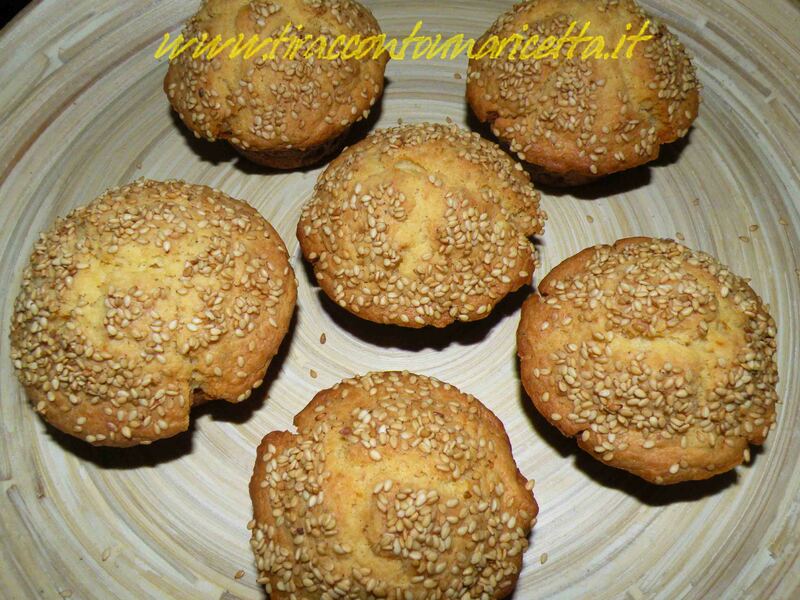 Here we propose a muffin with ricotta cheese and sesame seeds. They are perfect for a lunch to enrich the bread basket, or to prepare unusual sandwiches. Stuffed with good ham, muffins with ricotta salata and sesame seeds can enrich highly our relaxing time. 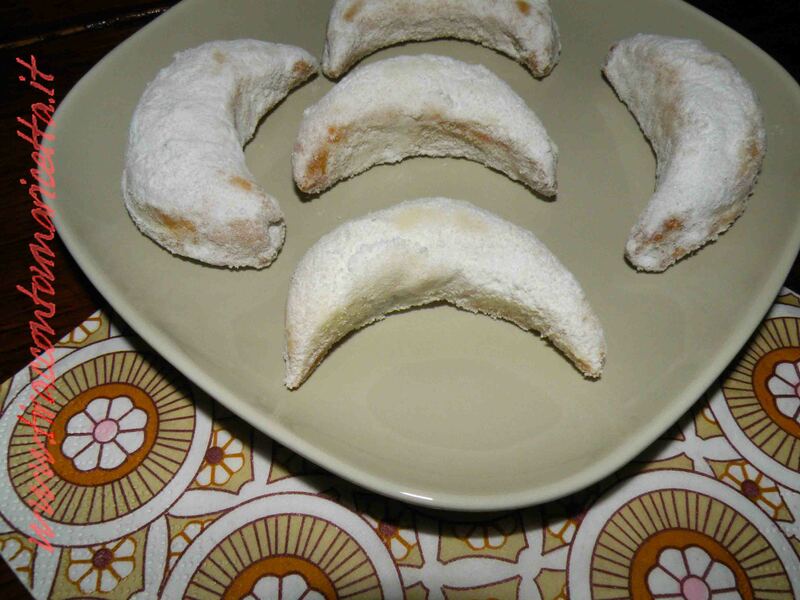 A cookie fragrant, sweet and fragrant, very good with tea or for breakfast. 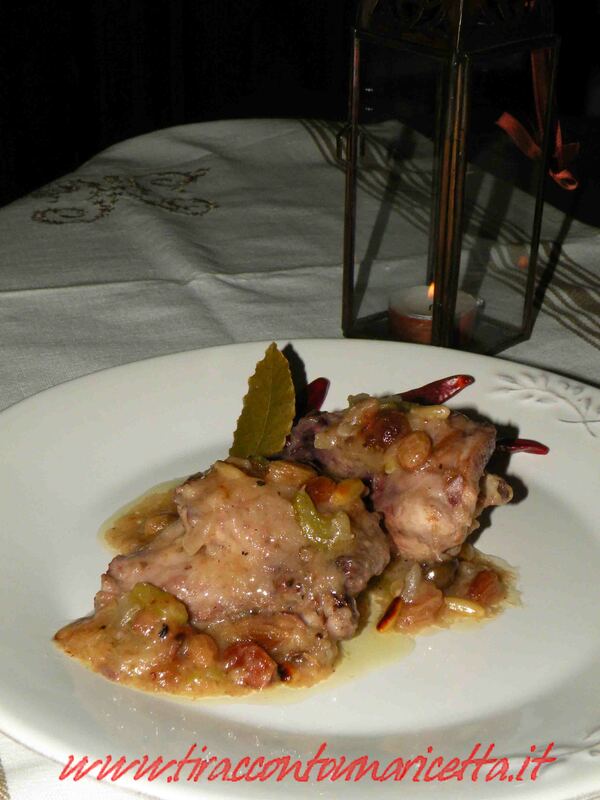 The rabbit '"a stimpirata" is a rabbit with a sweet and sour cooking typical of Sicilian country cooking. With a slow marinade the rabbit soaks the taste of red wine and onion and then when it is cooked with bay leaves, pine nuts, raisins, olives and capers turns into a tasty and elegant dish.